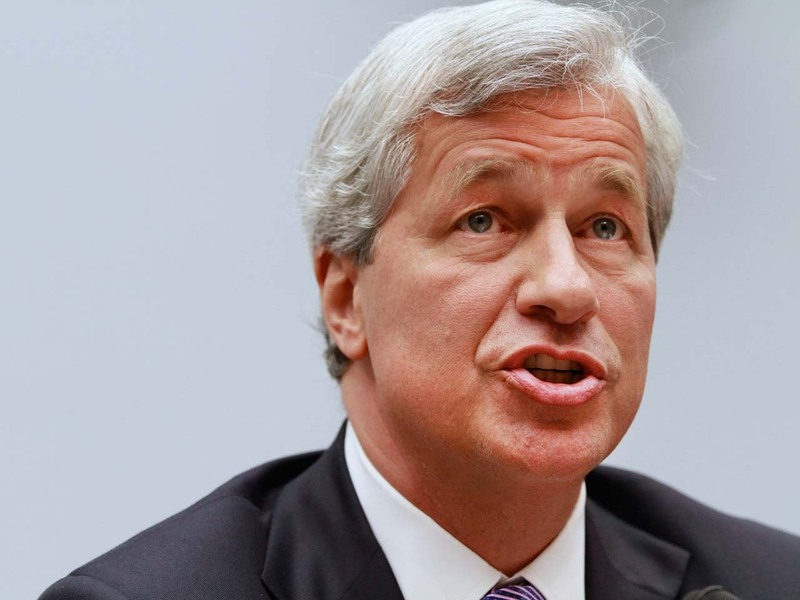 Will "London Whale" swallow JPMorgan CEO Dimon? (MoneyWatch) Ten months after JPMorgan Chase (JPM) announced in May 2012 that a "flawed, complex, poorly reviewed, poorly executed and poorly monitored" derivatives trading strategy that cost the firm billions of dollars, CEO Jamie Dimon called the mistake "egregious" and "self-inflicted. The executive, regarded by many the country's most influential banker, also vowed to "learn from it...fix it and move on." Not so fast. The 301-page report released by a Senate panel late Thursday amounts to a damning indictment of the financial giant. Although the Senate Permanent subcommittee on Investigations is highly technical in its analysis of JPMorgan's losses, the substance of its charges is straightforward: that the company "misled investors" and lied to investigators about the extent of the trading losses. JPMorgan's London-based Chief Investment Office established a complicated strategy that bet on the improving credit of selected companies. The trader behind the strategy became known as "the London whale," though we now know that it was a French-born JPMorgan employee named Bruno Michel Iksil. The total losses associated with the trades ultimately swelled to $6.2 billion, and could grow larger. It was clear that JPMorgan's risk controls were flawed, but the Senate report also allege that bank officials mismarked positions and changed the firm's proprietary risk model in order to mask the extent of the losses. The bank "made repeated, knowing misrepresentations about the size of the losses, the severity of the control failures, and the degree of management knowledge to regulators and investors." To understand what's going on here, it's important to note that were not run of the mill retail trades in which a shareholder buys a certain number of share in company stock. Rather, the JPMorgan trades involved credit derivatives, complicated, opaque products that are not traded on exchanges. Because there is no easy way to determine the value of these trades, firms rely on accounting and trading systems to do that. What the Senate wanted to know is whether JPMorgan accurately recorded the value of those trading positions? Even if trades aren't accurately "marked," as such valuation is called in Wall Street firms, banks are supposed to have monitoring programs in place that would catch any shenanigans. And here the Senate is clear in saying that "JPMorgan managers and risk control officers were aware of and complicit in the mismarking of positions." Beyond the trade itself, the firm is supposed to keep track of how much risk it is carrying every single day. This is alled "Value at Risk" or "VaR", and it attempts to provide big financial firms and hedged funds with a way to quantify the amount of total potential loss, the probability of that amount of loss, and the time frame in which the loss could occur. JP Morgan disclosed that it had changed its VaR model in January 2012, the effect of which downgraded the risk of the London Whale trade. Over five years have passed since the financial crisis erupted due to what were essentially huge leveraged bets by financial firms on complex products. The London Whale saga is instructive because it highlights how little things have really changed. Sure, the Dodd-Frank Act was signed into law in July 2010, but the 2,300 pages of regulatory reform directed federal regulators to create the new rules and mandates. Yet according to law firm Davis Polk, as of March 1, 279 Dodd-Frank rules that were supposed to be implemented by now remain in the work. Of these blown deadlines, more than 60 percent have been missed, while roughly a third have resulted in finalized rules.